A groom accidently killed 3 people at his own wedding!!! Three relatives of the groom were accidently killed at his wedding when, in celebration, he fired into the air with an assault rifle!! Eight other people were wounded at the incident… isn’t that nuts! That makes for quite the start of a forever after! 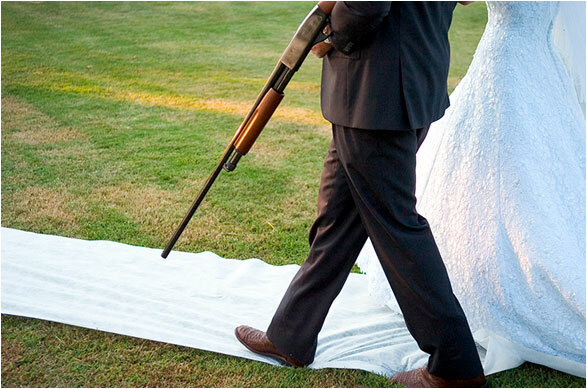 I wonder if she can annul the nuptials citing that it was a “shotgun wedding”! haha Booo–not a good joke… sorry!